BONUS: US$25 per person onboard credit (up to max. $50 per stateroom) + Bon Voyage bottle of sparkling wine! PACKAGE FEATURES FABULOUS EARLYBIRD AIRFARE! CHANGES/CANCELLATIONS/FEES: For further information refer to the Terms & Conditions located on our website. Le Meridien Visconti located in the chic Prati neighbourhood of central Rome. Positioned on the right bank of the Tiber river between Piazza del Popolo, Piazza di Spagna, Piazza Navona and the Vatican City, the Hotel is strategically located in the historic, cultural and business heart of Rome and represents the ideal base for your explorations of the eternal city. The hotels Roof 7 Terrace provides a vantage point where cocktails are savoured against the vibrancy of Roman life. Longitude 12 bar and bistrot are the perfect places to relax and enjoy typical local flavours & International favourites. 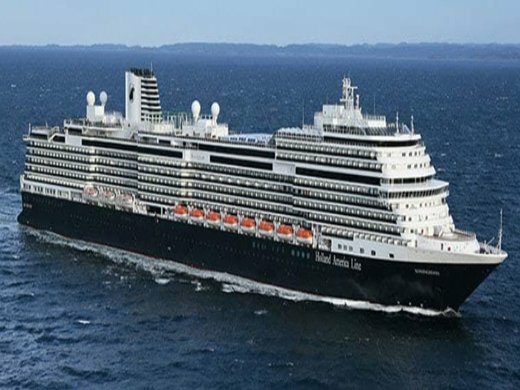 Koningsdam joined the Holland America Line fleet in 2016, the ship debuted as a first of a new class of ship, and the cruise line’s evolving culinary vision with new dining, eatery concepts, reimagined venues and innovative features that incorporate the essence of the line’s renowned and award-winning dining experience. Le Meridien Visconti located in the chic Prati neighbourhood of central Rome. Positioned on the right bank of the Tiber river between Piazza del Popolo, Piazza di Spagna, Piazza Navona and the Vatican City, the Hotel is strategically located in the historic & cultural heart of Rome and represents the ideal base for your explorations of the eternal city. The hotels Roof 7 Terrace provides a vantage point where cocktails are savoured against the vibrancy of Roman life.